Few Rotarians know that we marked a 105th anniversary milestone last week. On March 23, one month after the historic first meeting, Rotary marked the 105th anniversary of its name. It was not until the third meeting in 1905 that the original club members decided that the name would be ‘Rotary’ because the meetings were going to be ‘rotated’ among the member’s offices. There were 15 people at that meeting including the original four. Those original four were Silvester Schiele (age 34), Paul Harris (age 36), Gustavus Loehr (age 40), and Hiram Shorey (age 42). Of the four, the oldest, Hiram Shorey would attend only two more meetings . 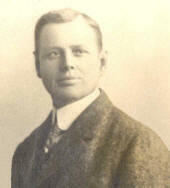 He did come back for a few meetings in 1906, but after the fifth meeting Hiram became the first Rotary Dropout. Why did Hiram dropout? To me it is an interesting question. According to an account of the first meeting all of the men were enthusiastic about the new club and he continued to attend for the next four meetings, so what changed between the first meeting and the fifth? I don’t buy the reasons given when a Rotarian drops out. According to Paul Harris, Hiram left Rotary, “due to circumstances beyond his control.” Almost always the reason given is a ‘politically correct’ reason that ignores the fact that people do not normally make changes in their life based on one or two factors, but rather have multiple experiences or dissatisfiers that lead up to the change of mind. There could have been many issues that dissatisfied Hiram. The first meeting was held at Gus Loehr’s office. The second at Paul Harris’s office, and the third at Silvester Schiele’s office. According to the idea of ‘rotating’ the meetings it would have seemed likely that the fourth meeting would have been held at Hiram’s shop. Rotary history seems to skip over the fourth meeting. What we do know is that the fifth meeting (Hiram’s last) was held at a hotel and dinner was served. Is it possible that the issue of the location of the meeting caused Hiram to rethink his enthusiasm about the club? Did something happen at the fourth meeting that caused him to become disillusioned with Rotary? By the third meeting the club had grown to 15 members. Did that cause Hiram to feel like Rotary wasn’t going to be small group of friends? 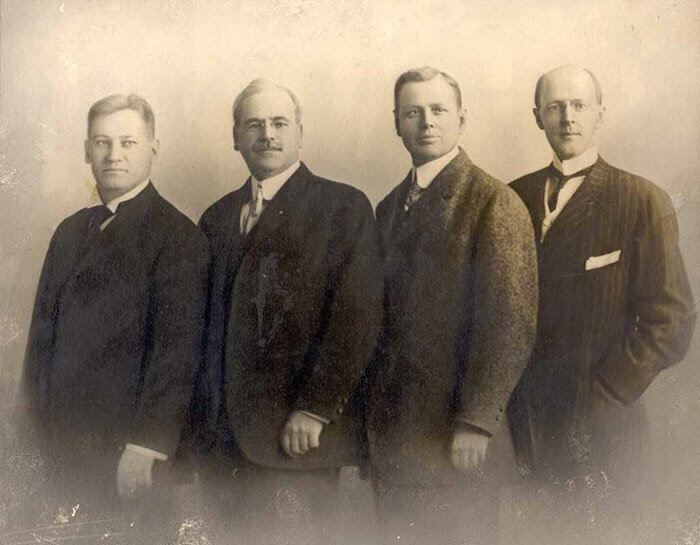 We will never know what dissatisfiers led to Hiram becoming Rotary’s first dropout, but there is a lesson we can take from 105 years ago. Even people who have a strong vested interest in the club and it’s success can become disillusioned in a matter of a few meetings. It takes extraordinary sensitivity and awareness to address dissatisfiers that may cause a member to leave the club, but it is the only way to help close the back door that members use to slip away from the club. Ironically, Hiram’s short involvement with the club would follow him through the rest of his life. His hometown of Litchfield, Maine has a plaque that notes he was “a Founder of Rotary.” That is the way we all will remember him. Every time I come to paulkiser.wordpress.com you have another fascinating article to read. One of my friends was talking to me about this topic several weeks ago. I think I will e-mail them the url here and see what they say. Thank you for taking the time to come by and read it!